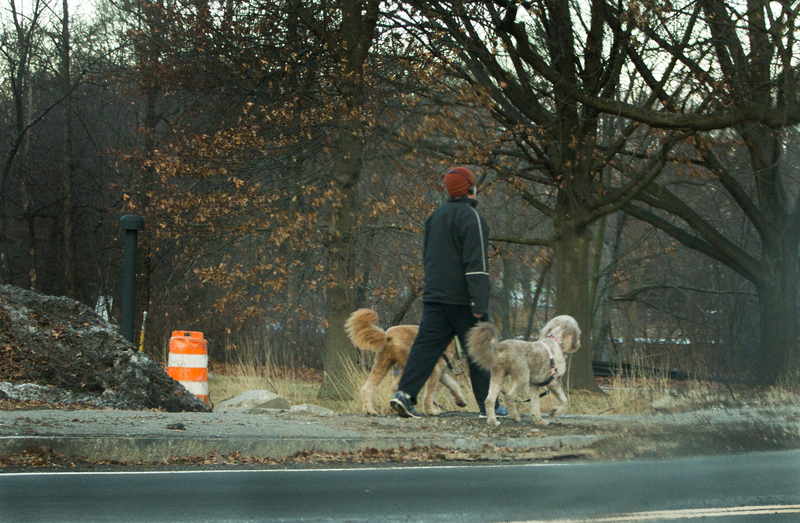 A man walks along Mystic Valley Parkway flanked by two dogs. Benn, I just want to say how much I like your photos. Your sense of composition, cropping, and color is just wonderful. Thanks so much for publishing them. Stu, I really appreciate hearing from you and I’m glad that you continue to enjoy my pictures. Have a happy and healthy new year!